Hurley had almost become the coach at Marist a couple years prior, but decided — even though some snickered — Wagner was a better choice. Two years and a 25-6 season with the Seahawks later, Hurley was finally — some 17 years after beginning at the lowest rung of the coaching ladder — ready for a shot with a big-time program like Rhode Island. 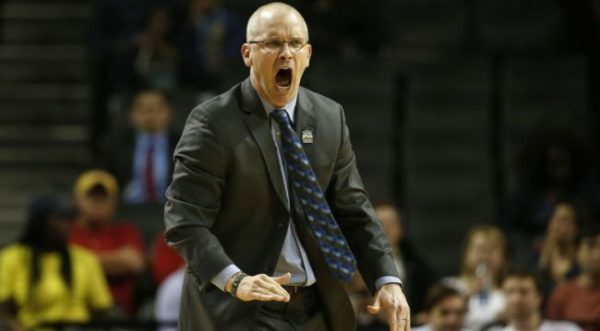 While rumored in the interim to be in contention for the St. John’s and Rutgers jobs when they opened, Hurley and Rhode Island seem to be made for each other. When Hurley was just beginning as an assistant at Rutgers in teh late 90s, the Rams were riding Jim Harrick, Cuttino Mobley and Tyson Wheeler to within one game of the Final Four in 1998, losing to Stanford by two points in a heart-breaker. Rhode Island hasn’t been back to the NCAA Tournament since the following year (a First Round loss to Charlotte in 1999), and by the time Hurley got there, Rhode Island was dealing with an acrimonious breakup with Jim Baron, a coach who had posted four straight 20-win seasons before a 7-24 dud in 2011-12. As you probably have extrapolated, though, none of those seasons resulted in the holy grail of an NCAA Tournament berth, which was Hurley’s stated objective from day one on the job. The Rams went 8-21 in his first year as he established a culture of defense, before following that up in 2013-14 with a 14-18 record utilizing a talented lineup featuring freshmen E.C. Matthews and Hassan Martin. By 2014-15, two other promising freshmen — Jarvis Garrett and Jared Terrell — joined the young lineup and expectations soared. However, while a 22-9 regular season devoid of big non-conference wins might be good enough for a Power 5 school, Rhode Island was relegated to the NIT. With the addition of Memphis transfer Kuran Iverson last season, Hurley’s ascent was on schedule until Matthews tore his ACL in the season opener. The result was a sputtering 17-15 campaign that finished with Martin also out of the lineup and the NCAA Tournament drought continuing for the 17th straight year. This is now Year 5 of the Hurley Era in Kingston, and the NCAA Tournament carrot is still dangling just out of reach. But this season sets up as the one that will end it. Those talented freshmen are now upperclassmen and Matthews appears healthy, averaging 17.3 points per game and acting as a clear first scoring option. Garrett usually plays the point, while Terrell creates match-up difficulties by playing as a third guard. That leaves Iverson and Martin to patrol the paint. Martin (who scored a career-high 31 last week against Belmont) is the reigning Atlantic 10 Defensive Player of the Year, but the biggest key may be Iverson, who averaged 9.8 points and 7.1 rebounds per game last season but never took off at Memphis. He’s a smallish center (6’9”) who will be called upon to step up in big games when the defense keys on players such as Martin and Matthews. “Hassan’s passing has gotten so much better. It’s a huge weapon,” Hurley said. “You’ve got E.C. and Jarvis out there with him with Jarred and Kuran as a spot-up shooter when it’s going in and as a cutter. 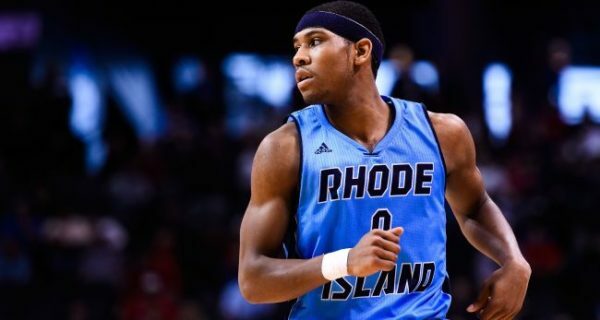 It’s a tough cover for other teams who you’re going to help off of, so Hassan is getting space to play in, and he doesn’t need much.” Rhode Island was picked second in the Atlantic-10 preseason poll, but after winning 23 games and being left out of the Dance two seasons ago, Hurley has scheduled judiciously by avoiding too many RPI-killers and replacing them with the likes of Belmont (one of only seven non-P5 schools to finish in the RPI top 100 over the last six seasons), Valparaiso (on the road), Old Dominion, William & Mary and NCAA hopeful Houston. The Rams play at Valparaiso on Tuesday and at Providence on Saturday in two more big resume-enhancing opportunities. Hurley certainly knows how Rhode Island fans feel from his playing days — his Seton Hall teams made the NCAA Tournament in 1993 and 1994 but he never saw the floor, and the Pirates failed to make the field in 1995 or 1996. Rutgers also never got close to the Dance in his four years there, and his next nine seasons were spent coaching in high school. Wagner entered the NEC Tournament as the No. 2 seed in 2012 but lost in the conference semifinals. Adding familial insult to frustration, his brother Bobby, who won two national titles and played in three Final Fours at Duke, made the NCAA Tournament in just his second season at Buffalo after being Dan’s assistant in his two years at Wagner. What could derail the Rams from here? Injuries, of course, and Hurley was given a huge scare when Garrett ran into a basket stanchion against Cincinnati and appeared to have a serious enough neck injury that medics originally tried to immobilize him. After x-rays revealed nothing abnormal, Garrett actually played the next day against Duke and looked 100 percent against Belmont. “It’s going to be a year full of challenges and we have to take our breaks when we get them,” Hurley said. A lot can happen between now and March, and there are many hurdles in the next month of non-conference play and the always solid Atlantic 10. But those breaks might be something Hurley and the Rhode Island basketball team have earned with their patience and commitment. This entry was posted on Monday, November 28th, 2016 at 10:45 am by Ray Curren (@currenrr)	and is filed under feature, microsites, other 26. Tagged: dan hurley, e.c. matthews, Hassan Martin, jared terrell, jarvis garrett, Kuran Iverson, rhode island, wagner. You can follow any responses to this entry through the RSS 2.0 feed. You can leave a response, or trackback from your own site.